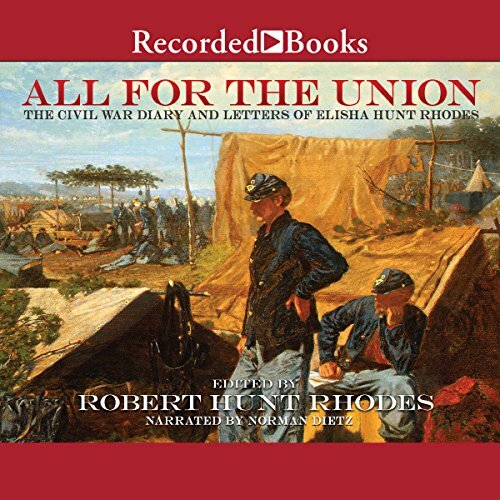 Showing results by author "Robert Hunt Rhodes"
All for the Union is the astonishing and eloquent diary of Elisha Hunt Rhodes, the Union soldier featured in Ken Burns' highly acclaimed PBS television documentary The Civil War. Enlisting as a private in the 2nd Rhode Island Infantry, Rhodes fought in every major campaign waged by the Army of the Potomac, from Bull Run to Appomattox. Here, in his own powerfully moving words, Rhodes reveals why he was willing to die to preserve his beloved Union.